This cookbook is filled with interesting supper’s that I don’t often see in cookbooks. But I guess that is the premise behind the cookbook, “Best Lost Suppers” so I had a hard time choosing what unique meal to make. I did enlist the help of middle boy who is one of the fussy eaters and together we choose Sicilian Meatloaf on page 115. 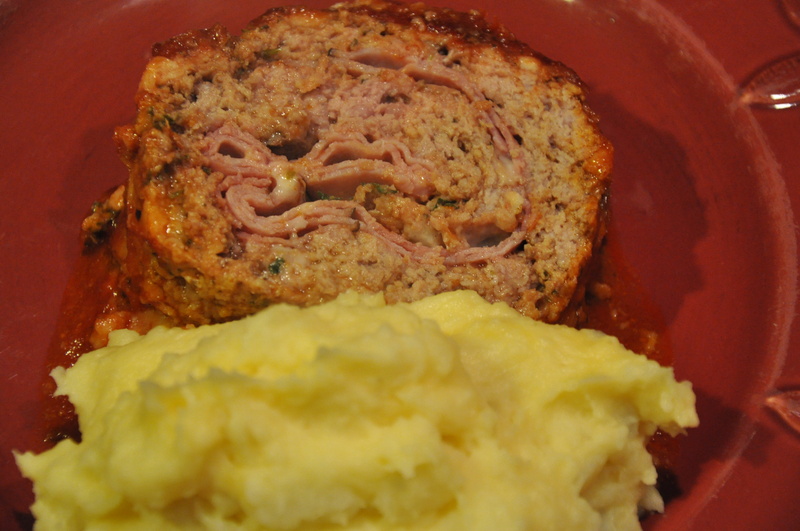 Middle child has never eaten meatloaf before, so getting him to select this recipe was key. You see, if you have the fussy eater stake a claim in the meal, they are more likely to try it. I got no eye roll from him or his older brother. 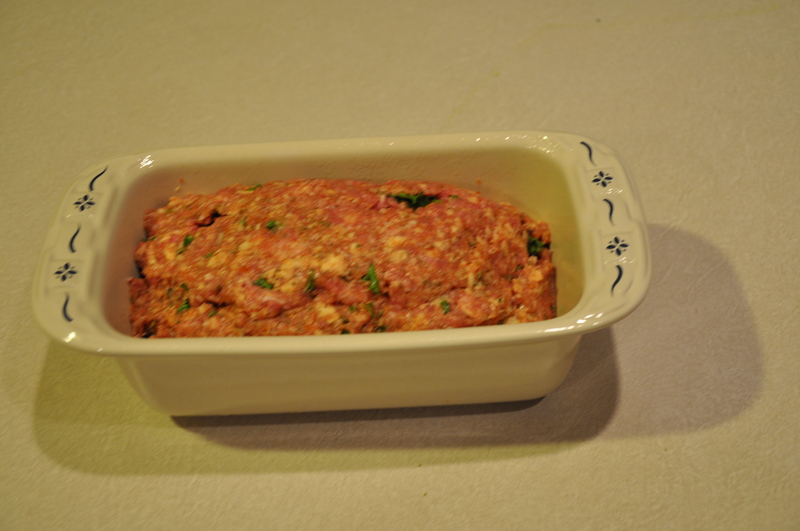 Of course the youngest child decided against eating the meatloaf…..nothing new here as he dislikes ground beef. I did make some shortcuts in the recipe. 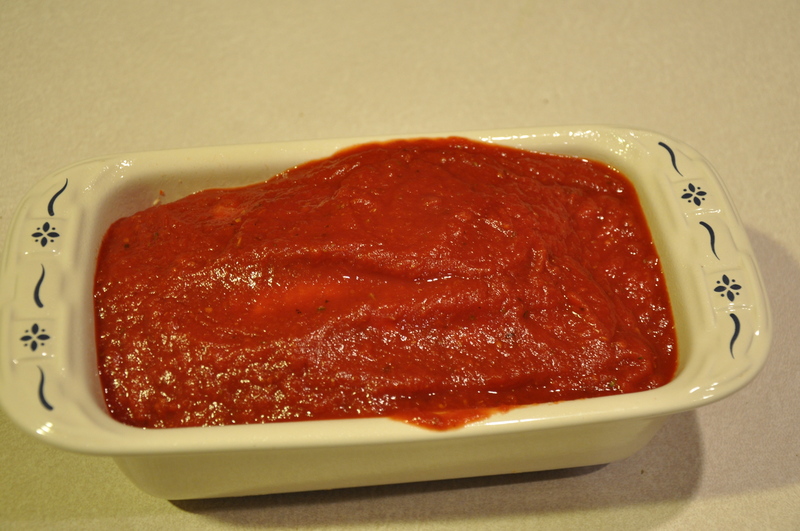 For the Glaze I did not use whole tomatoes and put it all in a food processor. I simply used a can of crushed tomatoes. For the meatloaf itself I did not use the sweet Italian sausage, but instead I used a meatloaf mix that my local butcher makes with beef, veal and pork. The Ruling: As for the taste, the ones that ate it really liked it. It was more moist than most of my meatloaves have been…..this is a good thing. My husband thought it was good enough to be made again. For me it would have to be a Sunday meal as it takes awhile to prepare and it takes over an hour to bake. This is not your weeknight quick fix meal. For the Glaze: Process the glaze ingredients together in a good processor until smooth, about 1 minute. Transfer the mixture to a small saucepan and cook over medium high heat until thickened, about 20 minutes. 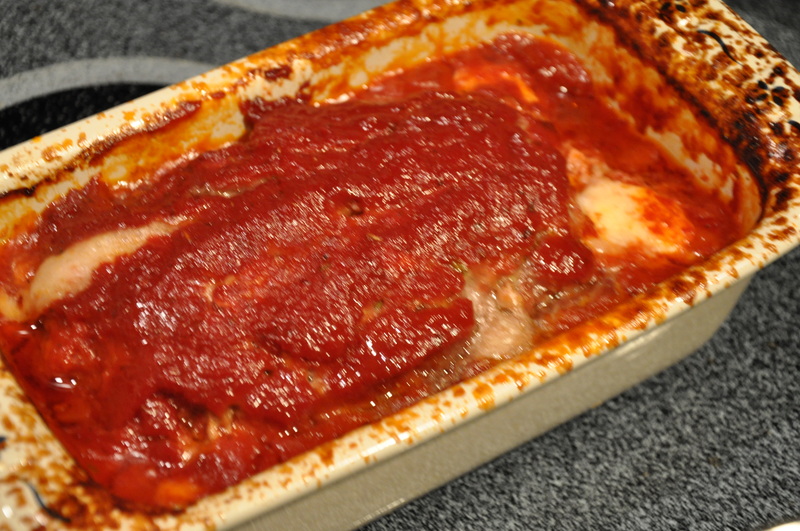 For the Meatloaf: Adjust an oven rack to the middle position and heat the oven to 350 degrees. 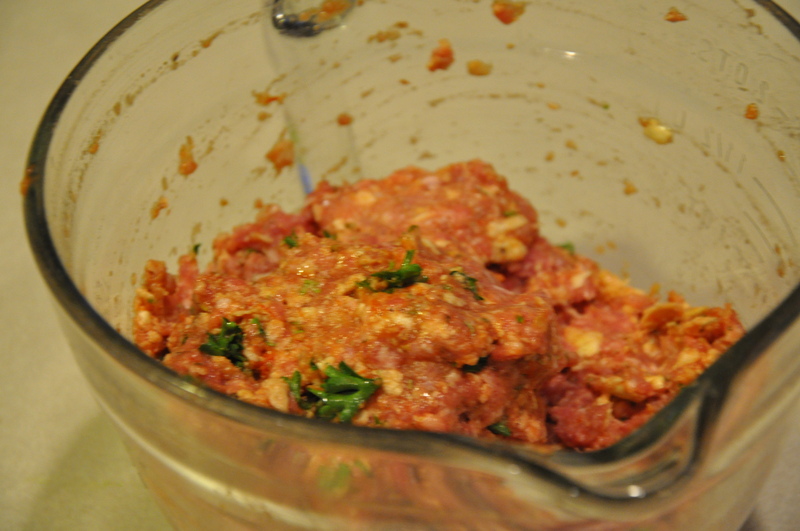 Combine the beef, sausage, tomato juice, crackers, parsley, oregano, garlic, egg, 3/4 teaspoon salt, and 1/2 teaspoon pepper in a bowl and mix with your hands until evenly blended and the meat mixture does not stick to the bowl. 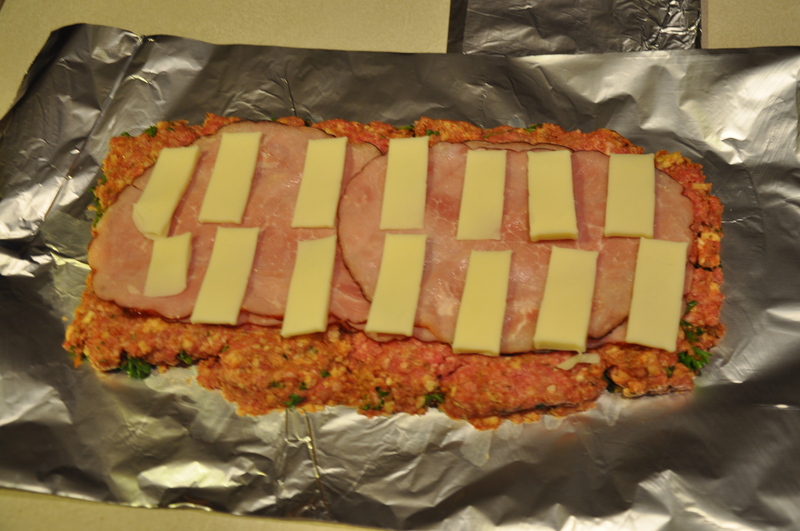 Spread the meat mixture into a rectangle about 10 by 7 1/2 on top of a piece of tin foil. Layer the ham and cheese evenly over the meat, leaving a 1/2 inch border along the bottom and sides and a 1 inch border along the top. 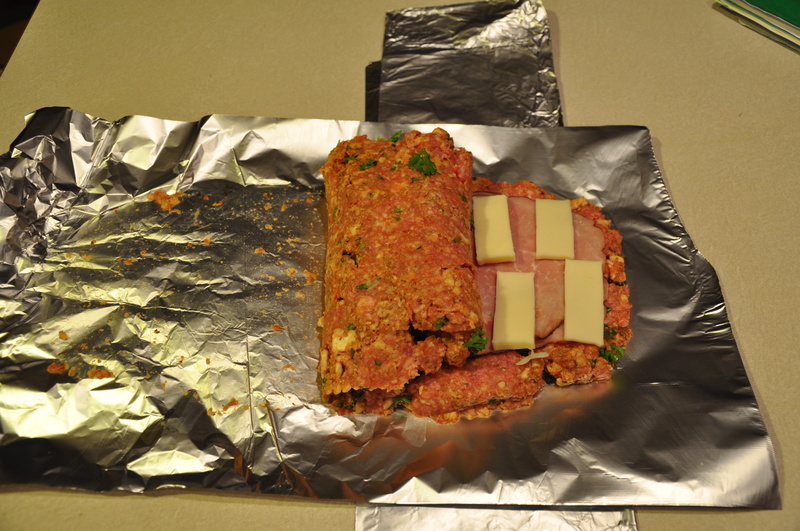 Roll the meat and filling into a compact log (use the tinfoil to help you roll it). Transfer the log into a loaf pan. Spread the glaze evenly over the meatloaf and bake until the center registers 160 degrees on an instant read thermometer, 1 hour to 1 hour 25 minutes. Cool for 15 minutes before cutting.